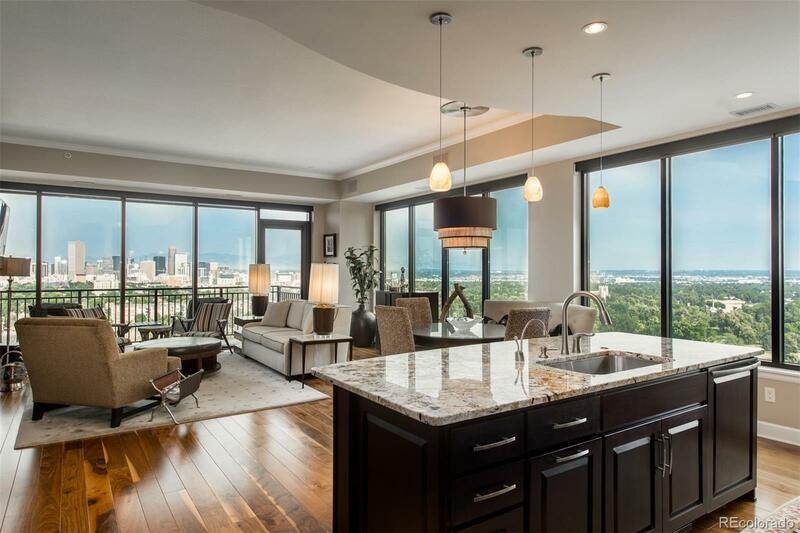 Set atop the Northwest corner of the 18th Floor at the Pinnacle at City Park South, this luxurious condo has never before been offered on the re-sale market. From the moment you enter, the living space frames an unforgettable view of the Downtown Denver skyline and Rocky Mountains. With over $235K in improvements, this home features 10ft ceilings, designer kitchen, 2 luxurious master suites, spa- like bathrooms, 8ft solid core doors, custom built-ins, motorized window shades, walnut hardwood floors, and two balconies to enjoy the stunning views. This is the âPinnacleâ in Colorado urban living! Amenities include concierge services, rooftop pool & hot-tub, fitness center, guest suites, party-room, and much more.